Agave Americana is a bold and striking feature in low-maintenance landscapes. It can be used as an accent in the garden or even as an impressive container specimen. Plants have large, sharply pointed blue-gray leaves with yellow stripes along the edges. Be aware that the sharp tips are toxic and so should be cut off in landscapes frequented by children. The spiral growth pattern of the leaves forms a beautiful rosette shape. Agaves are best planted in full sun locations, but can tolerate a bit of late afternoon shade. After plants reach about 8- to 10-years of age, plants will send up a large flower stalk that grows very quickly. The original plant will die after flowering, however pups that emerge from the base of the mother plant will continue growing. Once established, plants are very heat and drought tolerant, but look more beautiful when provided with a bit of supplemental water. During the hottest part of the summer, irrigate once per week. Less water is needed during the cool seasons. 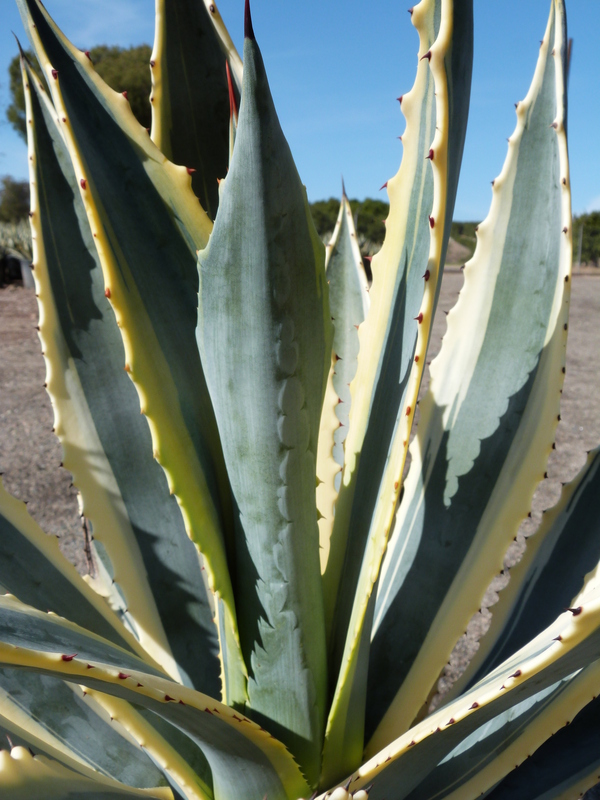 Provide a loose, well-draining soil for agaves.